Suzanne Huffman-Chamberlin is the founder of Suzanne’s Organics Salon and has been designing hair for 25 years. She is a Master Hair Artist, Salon Wellness Consultant, and Toxicity Educator. Suzanne is also a long time practitioner of yoga and meditation, and has completed 200 hours of teacher training at Sangha Yoga. 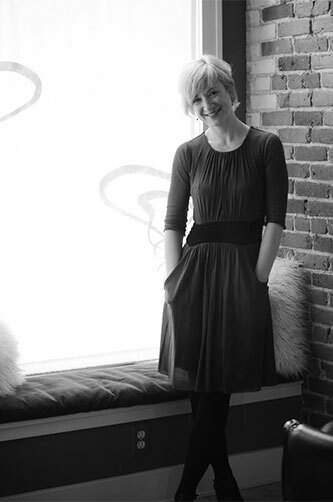 Suzanne’s background includes 20 years of education within the Aveda network. She is honored to have had Horst Rechelbacher as a mentor and source of inspiration. Horst taught that the salon industry is about more than external beauty, and he sparked a sense of social responsibility in Suzanne to create a salon environment that is life supportive for both stylists and their guests. As an educator and eco-entrepreneur, Suzanne knows that the products we put on our bodies every day impact our health and the health of the planet, and she believes a radical new approach is needed in the salon industry to create salons free of toxic ingredients. Suzanne stays on top of the cutting edge research on the use of synthetic ingredients and their effects on human health and the environment. As a holistic practitioner, Suzanne is committed to helping people realize a loving relationship with themselves and to strive for balance and harmony in every aspect of their lives. As an artist, she enjoys creating designs that are a personalized, individual, unique expression of each guest.